The popular family-friendly festival is to be held this year on July 26-28 at the picturesque Midland Railway Butterley, just outside Ripley. After the bands, there will be discos with Fan Club, Paris Popfest, Grrls Like Us and Come Out 2Nite, as well as Bum Notes Karaoke with Ruby Waters. In addition, there will be evening children’s discos with How Does It Feel To Be Loved? and Some Like It Pop. Cheaper early bird tickets are now available until Sunday, May 12. Click here for more details. 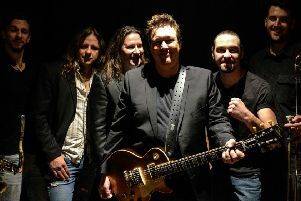 Blues aces The Billy Walton Band will be heading for The Flowerpot this week.